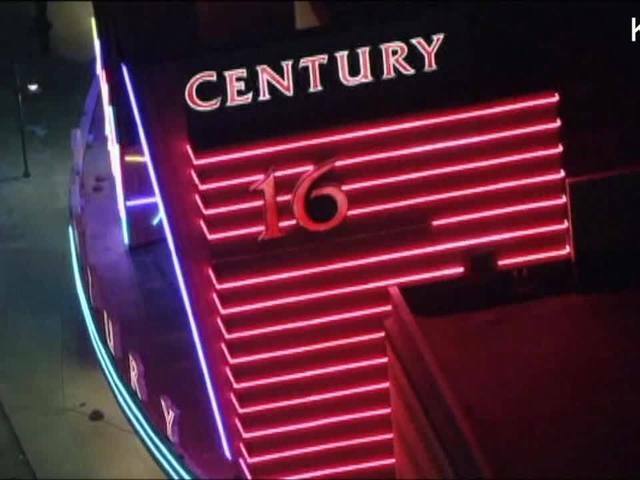 When San Diegan James Holmes opened fire in a Colorado movie theater in 2012, killing 12 people and injuring 70 others, the mass murder struck a punch to the collective heart of our nation. It rocked our sense of security and went down in the history books as the largest number of casualties in a shooting in our nation's history. Holmes is now serving 12 consecutive life sentences without parole, plus 3,318 years in prison. Four years later, his mother, Arlene Holmes is speaking out for the first time exclusively to 10News anchor Kimberly Hunt . She condemns her son's actions and wants to keep the focus on the victims. But she's coming forward in this month of Mental Health Awareness to bring a message she hopes will change lives for thousands of others. "It's a big concern to me, I want to show respect for the victims and to let people know that the reason why I'm giving you an interview is because May is Mental Health Awareness Month. I talked to other people about signs and symptoms of people who have problems with mental health and they told me it's been helpful, so I want to share the lessons that I've learned," Arlene said. "At the same time, I want to acknowledge that my son did indeed do something very terrible, and it was a great tragedy. Many people were killed, many people were harmed, and I want to focus not on him, but on education." Arlene said she thinks about and prays for the victims of the shooting every single day. "They're on my mind everyday, it's the first thought when I wake up in the morning. I'm very cognizant of how bad this all was, and I'm praying for their healing; mentally, physically, emotionally," Arlene said. "I can't erase the day but I wish I could. The way that I want to honor their injuries and their distress is to try and help prevent something this bad from happening again." 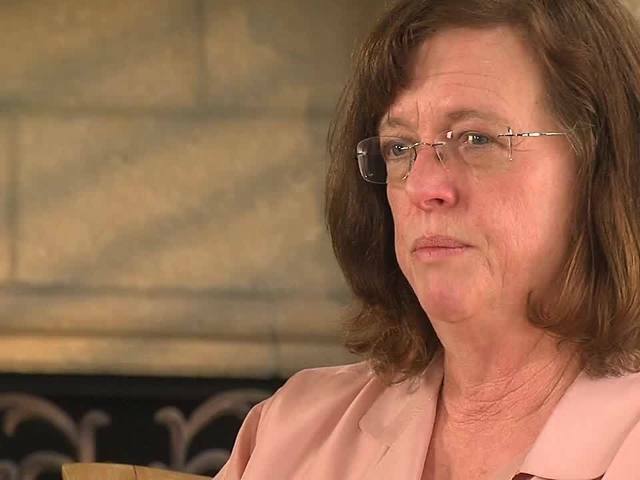 Like so many others whose lives were shattered by the mass murder carried out by her son, it's clear when you see the face of James Holmes' mother...this is a broken woman. Arlene Holmes realizes there will always be those who say, "How did you not know?" That is a question that's consumed her and given rise to the only shred of hope she can now pass on. Arlene's message is one she's tragically positioned to tell -- the importance of recognizing the early signs and symptoms of mental illness and the devastating consequences in rare cases of untreated serious mental illness. She chose May, Mental Health Awareness Month to step out and give this message. Arlene is a registered nurse, her husband a statistician. Looking through a photo album, they took their kids to church, the fair, the zoo and on family vacations. "Through elementary school he was a happy kid, had lots of kids over to the house," Arlene said. Arlene doesn't want us to show too many photos of James. Her message, she says, is not about the little boy in the pictures. She has these earlier, happier memories of James, but says she doesn't want to be perceived as trying to cast him in a better light. She acknowledges just how "horrible" his actions were. After a normal childhood playing with friends, enjoying Easter egg hunts in the backyard, a shift started happening. Things changed when James was 12 or 13. Arlene said they saw a family therapist for about a year. They were told his sadness was caused by a recent family move back to San Diego after a few years in northern California. The family made a plan. Arlene tried to plan better vacations, have more fun, make better food. She knows now she was going down the wrong path. James continued to get quieter, more irritable and isolated. "He was chattier when he was younger, and over the course of a decade he got quieter and quieter." In retrospect, there was a better plan. Arlene says what they needed to do was stay focused on what they were seeing in his behavior and ultimately seek more professional help. Since the shooting, Arlene sought answers from Dr. Jim Fix, a clinical psychologist, Program Supervisor of Clinical Psychology at Palomar Hospital and a faculty member at the LEAP Institute. Dr. Fix says mental illness needs to come out of the shadows. He says 1 in 4 families are affected by mental illness and 1 in 2 people will be diagnosed with some issue relating to mental health within their lifetimes. Families, friends and coworkers need to be able to recognize the red flags. Dr. Fix says the biggest barrier to treatment is the fact that most patients don't believe they have a problem. "This is a neurological condition that renders the person unable to know they have a mental health disorder, so if you're not aware you have a problem, you're not going to seek treatment for it," Dr. Fix said. It often takes another person to recognize a problem and we should all know the signs. Figures from the National Alliance on Mental Illness show 50 percent of all mental disorders come before the age of 14 or 15. "It's difficult to ascertain what is normal adolescent behavior; moodiness, poor grades, poor school performance. So it's really important to keep an eye out on these things and be communicating with them about what's going on," Dr. Fix said. Dr. Fix said if you notice more than one or two red flags, you should get that person in to get a mental health assessment. More changes were noticeable in James during his time in the neuroscience PHD program in Colorado. He was seeing a medical professional who would later testify in his trial . The Holmes family says they were not told about his violent thoughts. Laws do allow doctors to talk to family members when there's an imminent danger to the patient or the public, but Dr. Fix says it's a fine line that's not an easy call. "We're not that great in predicting violence in people," said Dr. Fix. "In the situation with the Holmes family, he was seen by a professional with this family when he was 12 years old, they weren't able to predict the violence in the future at that point in time." He says professionals are only as good as the information they're getting about a patient's thoughts. If a patient isn't saying what they're thinking, doctors have to go on past behavior. James' delusions came out in the trial. "My son had a diagnosis of schizophrenia which I didn't know about until I sat in the trial," Arlene said. There are many things James didn't tell his family. "Maybe they can't tell you in words, so look at their actions, look at what's different, ask them to write you a letter even," Arlene said. After that tragic day in July 2012 and the lengthy trial that followed, Arlene sought help. She knows it's rare for a mental illness to lead to violence, and the vast majority of people dealing with it can live full and healthy lives. But Arlene says first we need to change the notion that we can change it if we keep it inside, and try to be strong and stoic. "Don't try to solve it yourself, get some help, some professional help," Arlene said. "This is what I have to offer, I failed to be educated and I want to offer up that failure as advice to other people."